A proposed settlement has been reached in the Hinsdale Greyhound Park bankruptcy case that would help reimburse creditors and forgive the former track’s president for an alleged fraudulent property transfer prior to the Chapter 7 filing. The track closed in December 2008, leaving dozens of racing bettors with an estimated $500,000 in their wagering accounts holding the bag. The track also owes more than $1 million to additional creditors, including other tracks it did business with. The proposal calls for drawing $400,000 from an escrow account and another $400,000 from the sale of the property at and around the now-defunct track, which includes 106 acres. The $800,000 will be combined with another $286,120 the bankruptcy estate has from the track’s other liquidated assets. This would give bankruptcy trustee Michael S. Askenaizer $1,086,120 to help repay the track’s debts. A trustee is a third party appointed by the court to administer a debtor’s bankruptcy estate. “The trustee believes, in his best business judgment, that this settlement with the settling parties is fair and reasonable and in the best interests of the bankruptcy estate,” Askenaizer wrote in the proposal. As part of the proposed settlement, Askenaizer would agree to not sue Sullivan and his estate for an alleged fraudulent transfer of property to a real estate holding company, subordination of mortgages and a $650,000 promissory note former track president Joseph E. Sullivan 3rd took from the track when it was operational. And even if the lawsuit were successful, Askenaizer said he would have to sell the track’s remaining property, pay off a $2.3 million debt to Sullivan’s business partner Carl B. Thomas and cover property taxes and other costs from carrying the property. “Given the depressed values of the commercial real estate market in southwestern New Hampshire, where the remaining property is located, the trustee believes refusing this settlement offer and litigating instead is not in the best interests of the estate,” Askenaizer wrote. Before the bankruptcy filing, Sullivan sold the track’s property and buildings for $3.3 million to Hinsdale Real Estate LLC, a holding company he created with Thomas of Spofford-based Thomas Construction Corp. The holding company later sold 23 acres to Wal-Mart Stores Inc. for $2.1 million, with $500,000 going into the bankruptcy estate escrow account that, under the settlement proposal, could be used to repay creditors. The rest of the proceeds paid off a portion of Sullivan’s debt from property taxes and loans. Sullivan still owes Thomas about $2.3 million. The debt is tied to two loans for a total of $2.1 million, plus interest, that Thomas gave to Sullivan. The loans are secured to mortgages against the track property. The settlement proposal gives Hinsdale Real Estate two years to sell the remaining track property, about 83 acres. The bankruptcy estate will take 65 percent of the sale proceeds until it receives $400,000. The other 35 percent will be used to pay Thomas for the mortgages. The remaining $100,000 from the escrow account tied to the Wal-Mart land deal will be used to pay outstanding property taxes. If the land doesn’t sell within two years, the property would go to auction. A separate agreement under the settlement proposal would give Thomas full control over Hinsdale Real Estate. He plans to purchase Sullivan’s 75 percent interest in the company for $500,000, according to Askenaizer. Askenaizer and Sullivan’s bankruptcy attorney could not be reached for comment. Sullivan has declined to answer questions about the case. A hearing on the settlement proposal is slated for March 11 at U.S. Bankruptcy Court in Manchester. A personal injury lawyer based in Keene is one step closer to losing his license to practice law in New Hampshire. A hearing panel for the N.H. Supreme Court Attorney Discipline Office recommended Monday that Timothy A. O’Meara be disbarred for violating several rules of conduct. The four-member panel of lawyers and non-lawyers concluded that O’Meara lied to a paralyzed client and her family and coerced them to sign an agreement to pay him $2 million in legal fees. The panel determined that O’Meara placed his interests above the interests of his client. O’Meara has referred questions about his disciplinary case to his attorney, Michael R. Callahan, who did not return messages left at his Concord office. The panel’s recommendation to disbar O’Meara has been forwarded to the state’s Professional Conduct Committee, which will issue its own decision. If the committee decides O’Meara should be disbarred, the case will be bumped up to the Supreme Court. The state’s highest court has final say on any disciplinary cases that involve the possibility of disbarment or any other sanction greater than a six-month suspension from practicing law. Disbarment is rare in New Hampshire. Only two lawyers have been banned from practicing law in the state since 2006. Lawyers who are disbarred in one state are commonly disbarred in every other state where they are authorized to practice law. O’Meara is a bar member in New Hampshire, Pennsylvania and Vermont. Disbarred lawyers can apply for readmission, but they must retake the bar exam, pass character and fitness hearings and undergo rehabilitation, said James L. DeHart, general counsel for the N.H. Attorney Discipline Office. “They’ve got to show that they’ve done something to rehabilitate their lives so their conduct is such that it’s not likely they will offend again,” he said. In 2005, O’Meara agreed to represent Anita Conant after a paving company’s dump truck slammed into the back of her car. Conant, a Hampton resident, was stopped at a lighted intersection in Pennsylvania, where she was attending her father’s funeral, when the speeding truck hit her car. The car was launched into the air and sailed about 130 feet before it landed on its roof. The impact severed Conant’s spine. She was left paralyzed from the neck down. O’Meara sued the paving company, Lyons & Hohl Paving Inc., and offered to settle the case for the company’s $11 million insurance policy limit through The Cincinnati Insurance Companies. Lyons & Hohl kicked in another $500,000 as part of the settlement. The Conants say they never authorized the settlement, which represents less than half of what a certified life-care planner, who O’Meara hired, determined it would cost to care for Conant during her lifetime. O’Meara disregarded the estimated life-care costs and went after the settlement because he wanted a quick payday, according to disciplinary counsel Landya B. McCafferty, who represented the Conants during the panel hearings. McCafferty declined comment on the panel’s decision. After the Conants confronted O’Meara about making the alleged unauthorized offer, O’Meara mailed a letter to Cincinnati Insurance stating that the Conants had withdrawn their settlement demand. While he wrote the letter on Jan. 24, 2006, he dated it for Jan. 20 — several days before the insurance company had accepted O’Meara’s settlement proposal. O’Meara testified during the panel hearings that the erroneous date was an innocent mistake. “The Panel finds no credibility in Mr. O’Meara’s testimony that the date on the letter was just a ‘mistake,’” Varney wrote in the panel’s decision. A correct date would have rendered the letter useless because Cincinnati Insurance had already accepted O’Meara’s offer for the policy limit by that date, according to the panel. When the Conants learned of O’Meara’s alleged unauthorized settlement offer, they asked him to reduce his fee. They also asked what would happen if they fired him. However, O’Meara’s contract gave the Conants the option to fire him and pay him and any of the employees at his firm who worked on the case $275 an hour. O’Meara testified that he never told the Conants about this option, and he did not keep track of the hours his firm spent on the case. During a heated meeting with the Conants, O’Meara agreed to insert “to be negotiated” into his contract for his legal fee. This happened after he failed to persuade the family to pay him $2 million in fees, according to the panel. But O’Meara testified that the family did, in fact, make a verbal agreement to pay him $2 million during the meeting. He said the new fee was not written into the contract during the meeting because he “has terrible handwriting” and because he was “on his way out the door of the Conant residence, it was snowing heavily, and it had been a long day,” Varney wrote. During the final day of mediation at a courthouse in Philadelphia, O’Meara used “strong-arm tactics” to pressure the Conants to sign a contract that gave him $2 million in legal fees, Varney wrote. He told the Conants that he would walk away from their case, moments before the court hearing, if they continued to refuse to sign the contract, according to the panel. The Conants signed the contract, but they disputed O’Meara’s legal fees once the case was settled. After arbitration, O’Meara received $1.6 million — the largest payment of his law career. The panel’s decision to recommend disbarment was also influenced by Conant’s vulnerability, according to Varney. Conant, who is unable to speak or care for herself, attended the panel hearings with her family. Strapped into a bulky wheelchair, she sat across the room from O’Meara, her respirator making an air-sucking whistle every few seconds. The panel said O’Meara took advantage of the Conants while they were worried about an uncertain financial future and busy caring for Conant. “The Panel finds that Mr. O’Meara inappropriately attempted to use these factors to leverage himself into a stronger position for negotiating a $2 million fee,” Varney wrote. O’Meara’s checkered past also played a role in the panel’s decision. He was publicly censured in 2003 for lying to a judge about an erroneous date he placed on a court document while representing himself in a divorce and child custody case. And when he was a student at Franklin Pierce Law Center he was suspended for cheating. “This pattern of conduct indicates either the lack of a moral compass, or an inability to comprehend what constitutes acceptable conduct in the practice of law, or both,” Varney wrote. Should Keene Police Carry Tasers? Keene police officers are an exception in the Monadnock Region because they do not carry Tasers — stun guns that can zap offenders into submission. But that doesn’t mean the city officer who shot and killed a man during a standoff last week would’ve used a Taser if he had one. In the wake of the Feb. 2 shooting, questions have surfaced about whether Officer Joshua English and other officers who were with him could have used non-lethal weapons to diffuse the tense situation. The Attorney General’s Office concluded in a preliminary investigative report of the incident that English, who joined the Keene police force in August 2004, was justified in pulling the trigger. Hinsdale police Lt. Todd Faulkner is a court-recognized Taser expert who has provided stun-gun training to nearly every officer in the region who has the device. Faulkner said officers are told to meet deadly force with deadly force. They should not bring a Taser to a situation involving a gun or knife, he said. Tasers can come in handy when an officer is trying to arrest someone who’s combative or uncooperative. Instead of getting into a fight or using pepper spray, which can clear out an entire room or blow back into an officer’s face, the officer can subdue the troublesome person with a quick shock. Keene Police Chief Kenneth J. Meola believes stun guns are effective tools, but said the city cannot afford to equip its 46 officers with the devices. 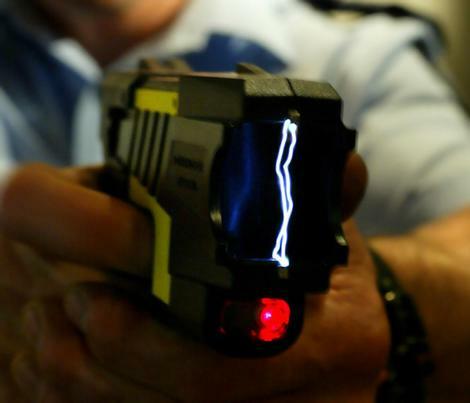 Police-grade Tasers cost about $800. Add another $22 for each cartridge and it would cost about $40,000 to equip the city’s officers with Tasers. But that’s only the tip of the cost iceberg. English shot Charles E. Turcotte, 39, in the head while Turcotte was crouched on a bed behind his ex-girlfriend, Hae Kyong Whitcomb, also 39. Turcotte was holding a knife with an 8-inch blade against her throat, according to Attorney General Michael A. Delaney. English and two other officers, including a hostage negotiator, tried to reason with Turcotte before the shooting, Delaney said. But Turcotte refused to drop the knife or release Whitcomb and he became increasingly agitated as the clock ticked, Delaney said. English was armed with his department-issued AR-15 rifle. Another officer in the room had a shotgun loaded with rubber ammunition, which was never fired. Faulkner, who has been trained to use less-lethal ammunition, also said rubber bullets should never be used as an officer’s only option during a potentially deadly situation. As for Tasers, he said the devices are extremely difficult to use in cramped locations. And if the device malfunctions, the intended target could easily rush and kill the officer who fired the Taser, he said. A Taser has a range of 35 feet and fires two prongs at about 165 feet per second, but both prongs must hit the target and stay secured before the device can deliver a debilitating 50,000 volts of electricity. When dealing with someone who’s armed, officers are trained to stay about 50 feet from the person, if possible, according to Faulkner. The Spruce Street shooting occurred in a small bedroom, where English and two other officers were standing about 8 feet from Turcotte and Whitcomb. During the standoff, English had his rifle pointed at Turcotte, who authorities said was shielding his body with Whitcomb. Despite the limitations of stun guns, Faulkner said he couldn’t imagine being without one. A retired Keene police officer who shot a man during a confrontation in 1998 said he questioned himself after the shooting but quickly came to terms with what he did. Carl Patten Jr., 53, of Troy agreed to speak with The Sentinel about the shooting to offer insight on what an officer goes through when he pulls the trigger. On Tuesday, a Keene officer shot and killed 39-year-old Charles E. “Chuck” Turcotte during what authorities have described as a hostage situation and standoff. Turcotte was allegedly holding a knife to his ex-girlfriend’s throat when the officer fired a bullet into his head. Patten shot David A. Ward, then 30, after Ward pulled a gun on him and another officer outside a city convenience store in September 1998. Ward, who was wanted for parole violations, aimed his gun at Patten and squeezed the trigger, but it misfired. Patten returned fire, hitting Ward multiple times in his shoulder and legs. When Patten saw Ward point a handgun at him, he said, he had a split-second to react. Ward survived the shooting. He was eventually convicted of an array of charges and sent to prison. After the shooting, Patten handed his gun, which had become evidence, over to a supervisor. Then he was interviewed by members of the state Attorney General’s Office. Patten was placed on administrative leave for about two months. An avid outdoorsman, he said he spent the time hunting deer and pheasant. He also thought about the shooting. He returned to work after being cleared by a mental health counselor and the Attorney General’s Office, which determined that he was justified in using lethal force. Under state law, officers may use deadly force if they are defending themselves or another person from what they reasonably believe is a lethal threat. When N.H. State Police Trooper David Hinkell shot and killed Sasha A. Yuksel, 35, during a July 2006 traffic stop, Patten said he offered his support. Hinkell was being attacked by Yuksel and had tried to use his Taser and pepper spray before he shot the man. Patten also contacted Swanzey police Cpl. Robert Eccleston after he shot Jeffrey E. Richardson, 24, while he was being dragged by Richardson’s car last July. Eccleston and Hinkell did not return messages from The Sentinel seeking comment. Patten said he would like to speak with the Keene police officer involved in the most recent shooting. The Attorney General’s Office is withholding the officer’s name until the preliminary investigation is released Monday. The man killed during a standoff with police Tuesday night in Keene was a father of four and the son of a veteran police officer. A Keene police officer shot Charles E. “Chuck” Turcotte, 39, while he held a knife to his ex-girlfriend’s throat at her residence on 48 Spruce St., said Senior Assistant Attorney General Janice K. Rundles. Turcotte died from a single gunshot wound to his head, according to N.H. Chief Medical Examiner Thomas A. Andrew. His death has been classified as a homicide. The ex-girlfriend and homeowner, identified by property records and friends as Hae Kyong Whitcomb, was not injured and neither were her teenage son and daughter, who were inside the residence during the incident, Rundles said. The Attorney General’s Office is withholding the identities of the ex-girlfriend, her children and the Keene officer who shot Turcotte during the standoff. The officer involved in the shooting has been placed on administrative leave, which is standard procedure in police-involved shootings. One of the teens inside the residence called 911 at 9:42 p.m., and said Turcotte had broken into the house and was threatening Whitcomb, Rundles said. Rundles said two officers were initially sent to Whitcomb’s house after the 911 call, and two others were there when the shooting occurred. She said the standoff was “fairly brief,” but declined to provide a timeline. Witnesses said more than a dozen police cruisers were parked outside the house after the shooting. Turcotte’s father, Roger A. Turcotte, was working as a lieutenant with the Stoddard Police Department and as a sergeant with the Roxbury Police Department when he died in March 2007. His law enforcement career began in 1995, when he was hired by the Cheshire County Sheriff’s Office. He went on to serve as a police officer in Nelson, Surry and Winchester. Charles Turcotte worked as a carpenter and lived in Keene. He fathered two children, a son, 10, and a daughter, 8, with his ex-wife, Tracy, of Swanzey, according to court documents in a divorce and child support payment case at Cheshire County Superior Court. Charles and Tracy Turcotte filed for divorce in May 17, 2005, citing irreconcilable differences. She could not be reached for comment. Turcotte also had two daughters, ages 12 and 14, with a former girlfriend, Jennifer L. Garner of Swanzey. In 1993, Garner filed for a restraining order against Turcotte. Details in the case were not available because the file at Keene District Court was destroyed in 2002. Garner’s longtime partner, Greg Willette, said Turcotte was a loving father who relished the time he spent with his daughters. Turcotte and Whitcomb had dated for two years and lived together until last month, when their relationship fell apart and he moved out of her house, Willette said. “I just think Chuck loved really hard and was having a hard time letting go,” he said. An employee at a neighborhood market near Spruce Street said Turcotte came into the store last week and talked about having a bad breakup with Whitcomb. “He wasn’t very happy about it,” said the employee, who requested anonymity. Whitcomb was a regular at the market, where she bought lottery tickets. No one answered the door at Whitcomb’s house late Wednesday afternoon when the yellow crime-scene tape that had surrounded her property was gone and the police cruisers had driven away. The Attorney General’s Office continues to investigate the shooting and is releasing few details on how the situation unfolded. Keene police Lt. Shane C. Maxfield, who declined to speak about the shooting, but agreed to talk about police tactics dealing with deadly force, said officers are trained to aim for the center of a target. In an ideal situation, this would be a torso, he said. After 16 years of practicing law, a prominent Keene personal injury lawyer might have to find a new profession. 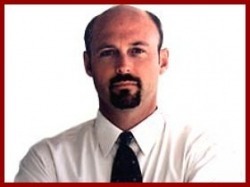 Timothy A. O’Meara committed deceit, dishonesty, fraud or misrepresentation while handling a multimillion-dollar lawsuit for the family of Anita Conant, a Hampton woman who was paralyzed in a crash four years ago, according to a hearing panel for the N.H. Supreme Court Attorney Discipline Office in Concord. The panel, which is composed of three lawyers and a non-lawyer, heard four days of testimony from O’Meara, the Conants and other witnesses before finding “clear and convincing evidence” that O’Meara violated state rules of professional conduct, panel Chairman Robert C. Varney wrote in a Dec. 2 report. Disciplinary counsel Landya B. McCafferty, who acted as a prosecutor during the hearings, recommended Monday that O’Meara be disbarred in the states where he is licensed to practice law: New Hampshire, Pennsylvania and Vermont. O’Meara’s attorney, Michael R. Callahan, asked that O’Meara not face any sanctions, or, at most, be reprimanded. A reprimand is at the lowest end of the disciplinary spectrum; disbarment is the harshest penalty. Other sanctions include public censure and suspension. While the panel has 60 days to determine what, if any, disciplinary action O’Meara should face, it is expected to release a recommendation within the next two weeks, Callahan and McCafferty said. The panel’s recommendation will be forwarded to the state’s Professional Conduct Committee, which will issue its own decision, usually in less than six months. The conduct committee consists of eight lawyers and four non-lawyers and has final say on disciplinary cases in which the maximum sanction is a six-month suspension from practicing law. The state Supreme Court determines cases involving possible disbarment. Callahan said he will argue against any disciplinary action that is greater than reprimand. He can present his argument to the conduct committee and, if necessary, the state Supreme Court. After exhausting those appeals, the final recourse is filing an appeal with the U.S. Supreme Court. In May 2005, Anita Conant was stopped at a traffic light in Pennsylvania, where she was attending her father’s funeral, when a dump truck slammed into the back of her car. The impact launched Conant’s car 130 feet down the road before it landed on its roof in a ditch. Conant’s spine was severed and she was paralyzed from the neck down. A week after the crash, Conant’s husband, James Conant, hired O’Meara on the recommendation of his brother, Craig Conant. After taking the case, O’Meara consulted a certified life-care planner who determined it would cost more than $23 million to care for Anita Conant during her lifetime. Then O’Meara pursued an $11.5 million settlement from Lyons & Hohl Paving Inc., the company that owned the dump truck involved in the crash, and its insurer, The Cincinnati Insurance Companies, according to McCafferty. He went after and eventually received the settlement without authorization from the Conants and with disregard for the life-care planner’s estimate because he wanted a quick payday, according to McCafferty. O’Meara wanted to collect at least $2 million in legal fees from the settlement, but the Conants contested his fees and a judge awarded him $1.6 million — the largest payment of his law career. Before the settlement was finalized, the Conants had asked O’Meara what would happen if they fired him. He threatened to sue them for a third of any settlement they received, according to McCafferty. During the disciplinary hearing, O’Meara denied threatening the Conants with litigation. But he also testified that he never informed the Conants that their contract gave them the right to fire him at any time. If the Conants had fired O’Meara, the contract stated that they would have to pay him and any of his employees who worked on their case $275 per hour. No one at O’Meara’s firm kept track of the hours that went into the Conant case, according to O’Meara’s testimony. That means O’Meara might not have been able to collect any legal fees if the Conants had fired him. O’Meara also backdated a crucial letter to an attorney for The Cincinnati Insurance Companies, according to McCafferty. The letter notified the attorney, Robert Davis, that the Conants were unwilling to accept the insurance settlement that was on the table. The letter was written the same day Davis accepted O’Meara’s unauthorized offer to settle the case, but it was dated four days earlier, according to McCafferty. O’Meara testified that the erroneous date on the letter was an innocent mistake. In 2003, O’Meara was publicly censured for a similar mistake. He lied to a judge about having the wrong date on a document he filed with the court while representing himself in a divorce and child custody case. Because O’Meara had maintained an unblemished disciplinary record since he joined the state bar in 1993, the conduct committee opted for public censure rather than a harsher sanction. Few disciplinary cases in New Hampshire reach the level of disbarment, which usually cripples a lawyer’s career. Only two lawyers were barred from practicing law in the state last year, and no lawyers were disbarred in 2006 and 2007. A Cheshire County Superior Court judge has requested more time to decide the fate of a 19-year-old facing up to 21 years in prison for a slew of crimes. Adam M. Laramie was slated to be sentenced Thursday after pleading guilty in August to conspiracy to commit armed robbery, attempted armed robbery, robbery, theft by deception, theft and receiving stolen property. Laramie tried to rob the Beaver Street Market and the Connecticut River Bank in Keene on Dec. 15, 2008. He also duped an acquaintance into cashing a forged check, stole a co-worker’s purse and had a laptop that was purchased with a credit card from the purse. Laramie was living in Swanzey when he was arrested. He has been locked up at the Cheshire County jail in Westmoreland for the past year, awaiting an end to his case. Judge John P. Arnold was expected to send Laramie to N.H. State Prison at the conclusion of Thursday’s hearing. Instead, Arnold asked Laramie’s court-appointed attorney, Adam P. Kossayda of Keene, to delve deeper into the young man’s background and present his findings in about a month. Kossayda replaced Laramie’s original attorney, Michael C. Shklar of Newport, after Laramie accused Shklar of pressuring him to accept a plea deal. Shklar denied the allegation. In a letter to The Sentinel in late November, Laramie wrote that he wanted to back out of the plea bargain he accepted while Shklar was representing him, but the court has denied his requests. O’Reilly had asked Arnold to send Laramie to prison for four to 21 years, followed by a suspended prison sentence of seven to 14 years. The suspended sentence would hang over Laramie’s head for 15 years after his release from prison. The sentence could be imposed if he was caught breaking the law during that time. O’Reilly said in court that she would have asked for a lengthier prison sentence if Laramie were older. “We have some very serious crimes here,” she said. Kossayda argued during the hearing for six months to be shaved off the minimum end of the proposed prison sentence. He agreed to the remaining terms of the plea negotiation. Laramie and his five siblings were raised in hotel rooms and homeless shelters as their mother struggled to make ends meet. When he was 7, Laramie was sexually assaulted. He was also physically abused. That Laramie has a juvenile criminal record, which O’Reilly mentioned in court, is no surprise, given his upbringing, Kossayda said. The string of crimes that led Laramie to the courtroom Thursday began soon after he was introduced to heroin on his 18th birthday in September 2008, Kossayda said. Soon, Laramie had trouble staying employed and needed money to feed his addiction, he said. Three months after he tried heroin, Laramie and three accomplices called in a bomb threat to Keene State College to create a diversion so they could rob the Connecticut River Bank, according to O’Reilly. After making the bomb threat, the foursome approached the bank, some of them carrying weapons and masks, but abandoned the plan when a police cruiser rolled by them. Later that day, Laramie entered the Beaver Street Market wearing a mask. He displayed a gun and demanded all the money in the store’s cash register. But the clerk didn’t take Laramie seriously — he thought the gun was a fake. “Then I just played dumb, acted like I couldn’t open the register,” the clerk said in an interview after the incident. Four police detectives who played a role in the investigation that led to Laramie’s arrest, or who were interested in the case, attended the hearing, as did Laramie’s father, stepmother and girlfriend. Laramie glanced back toward his supporters before a bailiff led him from the courtroom. Arnold warned him to stay out of trouble in jail as he left.